Childcare buses built with safety and efficiency in mind. Transporting little passengers is a big job. So is maneuvering a bus through whatever conditions come your way. That’s why our childcare buses are built to the same legendary standards as our school buses. The difference? No yellow paint, stop lights or stop arms. Yet, unlike passenger vans, our childcare buses meet all of the Federal Motor Vehicle Safety Standards (FMVSS) and Canadian Motor Vehicle Safety Standards. The construction methods we use are the result of years of safety and efficiency experience. Typical 15-passenger vans just don’t compare. Thomas Built buses offer the versatility that many organizations need. They’re ideal for childcare operations, field trips, sports teams and retreats. So whether you’re transporting eight or 90 children, choosing a dependable, comfortable Thomas Built bus will make your job easier. And safer. To learn more about the wide variety of options, contact your Thomas Built dealer. 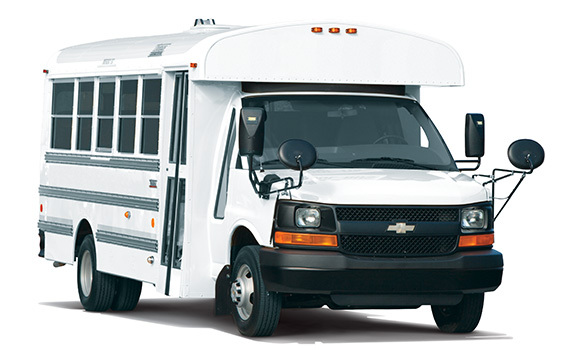 Our Minotour® bus comes in several sizes and can be configured for seven to 30 passengers. And if you carry 14 or fewer passengers, you don’t need a CDL to drive it. The Minotour can be customized with a variety of features to serve you and your passengers best, including a wheelchair lift, an electrically operated front door, overhead book racks and more. Seat belt options include lap belts, three-point belts, integrated child seats and coach-style seating. 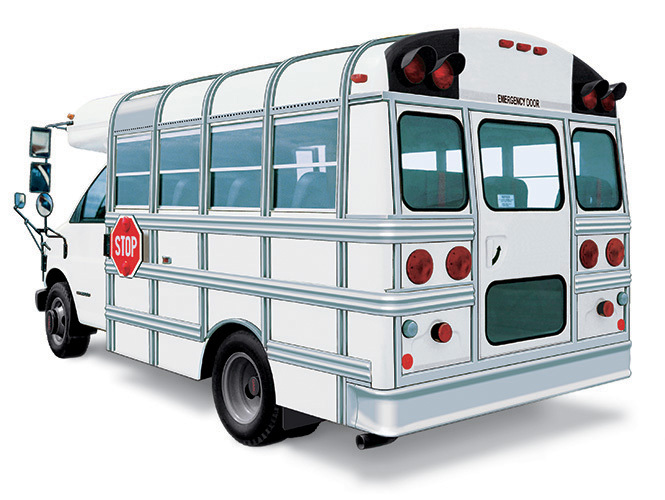 And every Minotour® comes with all the peace-of-mind features that are standard in our larger buses, like the one-piece skirt-to-skirt roof bows and the 12-gauge steel wrap-around bumper.